If you have an Android phone, then you can easily mock up its user interface to make it look like a phone with iOS 7. You do it with something called a launcher app. This type of app changes your icons, background, home screen, app drawer, transitions and other layouts completely. Changes can also be noticed in basic phone apps such as dialer, messaging app, clock etc. To make your phone's OS look like iOS 7, you have several launchers to choose from. The popular one seems to be simply titled iOS 7 Launcher at the Play Store. This is a free app to make your phone look like an iPhone. Download and install it to make this app change your phone's icons, wallpapers and animation. 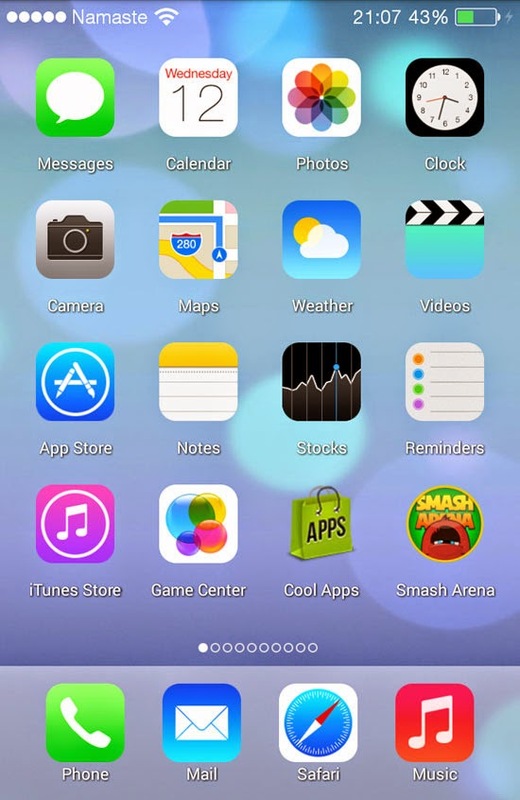 The home screen is designed as Apple's iOS 7 home screen. There are four default apps in the bottom i.e. Phone, Mail, Safari and Music app. The phone app links to your dialer, mail app opens up Gmail, Safari gives you the option to choose a browser app to launch and Music opens up Play Music app. The first screen on your home also lists many default apps. They are Messages, Calendar, Photos, Clock, Camera, Maps, Weather, Videos, App Store, Notes, Stocks, Reminders, iTunes store, Game Center, Cool Apps, Smash Arena, Newsstand, Compass, Passbook, Settings, LinkedIn, Tumblr, Google Plus, Twitter, Facebook, Instagram and Search. You can also notice changes in icons of these apps. If you do not have these apps, it links you to your browser or some other location to download apps. There isn't a dedicated button on this launcher which allows you access the app drawer separately. This app does not differentiate between home screen and app drawer. You can swipe to the right to access all your apps from the home screen. Those apps come after the default home screen apps. All your other apps are listed there. 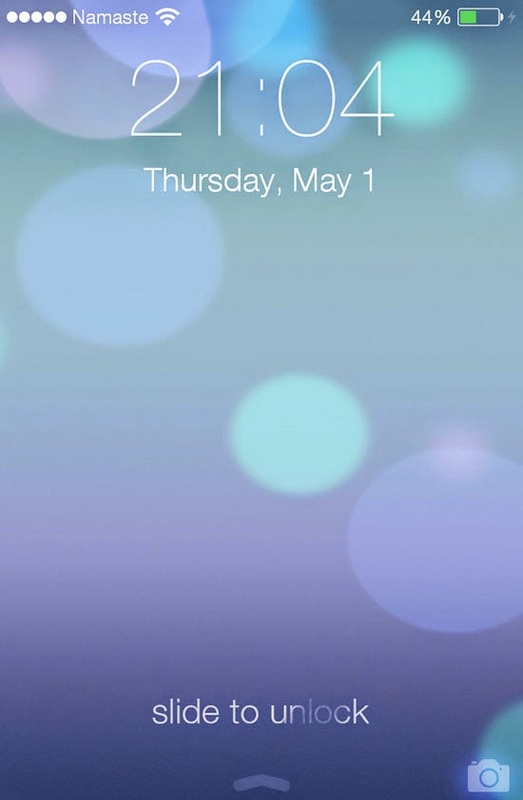 Lock Screen is quite similar to iOS 7's lock screen. You will have to slide to the left to unlock the screen. If up slide up a little arrow present at the bottom of the lock screen, you will find shortcuts to different settings as well as apps. You can quickly switch on and off airplane mode, Wi-Fi and Bluetooth. You can also change your screen's brightness from there. There are also links to default apps such as camera, calculator, clock etc. Also, if you swipe the entire lock screen up, you will access your Android camera. This is a great simple solution to people who want to give their Android phone an iOS 7 look. This app is not resource heavy and has been kept as simple as possible. There are many interesting eye candy features from iOS 7 that has been integrated. You will, however, come across ads at times. If full screen ads annoy you easily, then this is not for you. Otherwise, this launcher is a great piece of technology to show off your buddies with iPhones how your Android device can easily imitate theirs'.